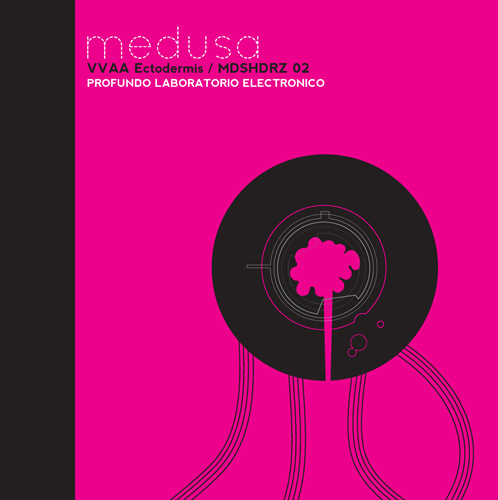 More downbeat electronica from the Medusa label, creating hybrids with jazzy, latin and dub elements on the 'Ectodermis EP'. Po-Len ft Amado & Norbert Kuner make a pleasant groove with saxophone and guitar placed over minimal drum machine rhythms, while Nectar ft. Alex Medina & Viltown mesh bleeping electronics with dub reggae vocals, piano and double bass. LBLC provide the best cut with the kick laden electro-acoustic experimentation of 'Antidoto', and Sowing Paranoia move out on a Chain Reaction styled dub techno effort.